Cuban baseball players direct to MLB? Just spotted this article in the New York Times. Hmmmm. . . . Internet and baseball, two of the most effective ways to take down a regime? I vote the Internet #1. What sport would you pick as the best one to creat a level playing field between nations? (Sorry for the the pun) Maybe soccer? I can’t believe it has been so long since I posted anything here! In the meantime, Obama has opened relations with Cuba, the US Interests section is reopened in Havana and flights are about to resume. Amazing! 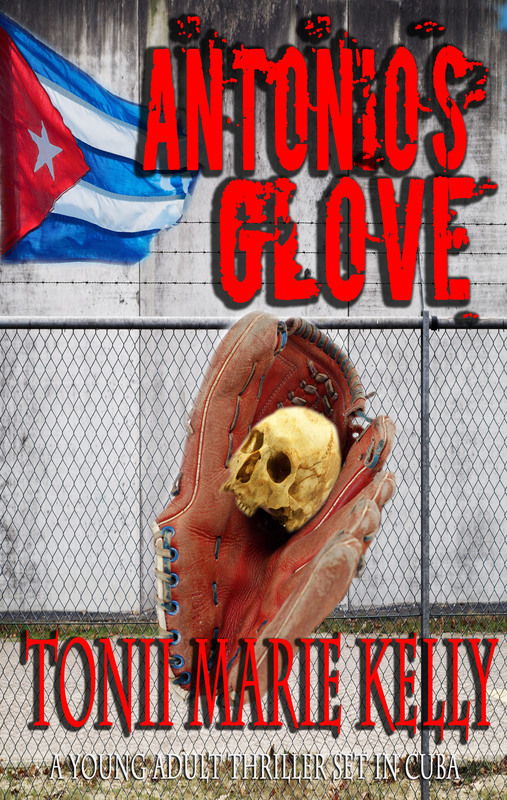 In the meantime, Antonio’s Glove is now available in paperback as well as the original ebook. I have begun the next book in Tomas’ life, but have a question for those who read my book: What would you like to see happen? Like first love, my first novel release has been full of angst, anxiety and all the other ‘a’ words that indicate uncertainty. When I was a kid, the old he-loves-me he-loves-me not as I ripped apart a simple daisy did the trick. Was it repeating a mantra or the act of violence that soothed me? So daisies be damned, I’m back to writing! Since I began writing Antonio’s Glove, I lost four family members through car accident, heart attack and that most ruthless opponent of all, old age. I transferred my own grief into the angst Tomas experiences when his own life dissolves into chaos around him. His best friend is gone, his girlfriend is probably spying on him, and he learns his own beloved brother has died. In addition, he’s made a ridiculous promise to his father: he’ll manage to get off the island with his mother and sister. Have to admit, my own grief felt easy to handle compared to all that! ROMANTIC PICKS #NEWRELEASE Antonios Glove by Tonii Marie Kelly. The Miami Herald owned the story of the Mariel Boatlift in 1980. While Antonio’s Glove uses the events of that year as a backdrop, I have found the boatlift is not widely known. Go to http://www.miamiherald.com/news/special-reports/mariel/article1922229.html for a comprehensive database on the people who arrived in Miami, the boats they came in on and much more. I began this book several years ago, and never dreamed an agreement between the US and Cuba would catch up to my story and surpass it. I have to wonder, was this an attempt by the United States to prevent another Mariel Boatlift fiasco? Oh, what was that? Read Antonio’s Glove! ROMANTIC PICKS #UPCOMINGRELEASE Antonio’s Glove by Tonii Marie Kelly. Need excitement? Escape Cuba with two brothers linked by a psychic bond, Santeria and Fidel Castro’s attempt to empty his jails. I’ve been corrected, that dystopias are indeed fictional worlds. My bad. I thought the word referred to any dysfunctional government, planet or nation that crushed its citizens. Okay, so North Korea, Burma and Cuba aren’t dystopias in the literal sense of the word. Still not places I’d want anyone I loved to live in!